Gorgeous right?! These pieces showcase clean lines, sturdy hardware, and compliment both traditional and modern decor. I wanted to know the background behind this style of furniture, and thanks to Wikipedia, I now know more than I ever wanted to about campaign furniture. Simply put, campaign furniture specifically refers to any furniture designed to be easily broken down and packed up to carry on the march (“the march” as in… with the military). Despite the contemporary feel, this type of furniture can actually date back to the time of Julius Caesar, however the pieces here are more reminiscent of late 18th, 19th and early 20th century British military. 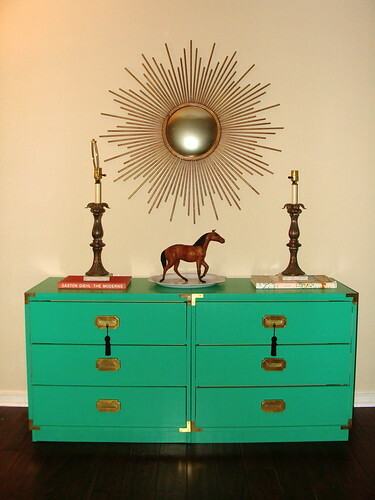 Because of the nature of campaign furniture, you’ll often find these pieces as trunks and desks, however there are some fabulously styled dressers and side tables that I am IN LOVE WITH. The hitch? Campaign furniture can be pricey… I’ve spent some time trying to hunt down a great campaign fixer-upper, and unfortunately, all the consignment shops, antique shops, and vintage furniture shops all know the value of these pieces – no matter how beat up they are! What’s a girl to do? Get crafty… that’s what! 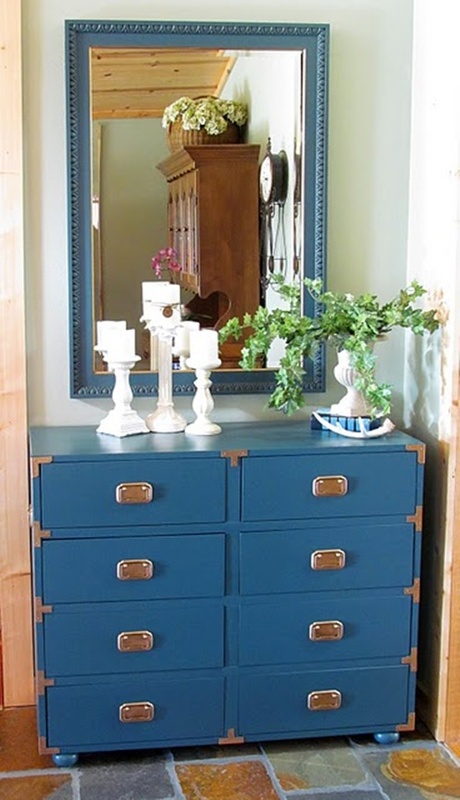 Do you like this cute blue campaign dresser? 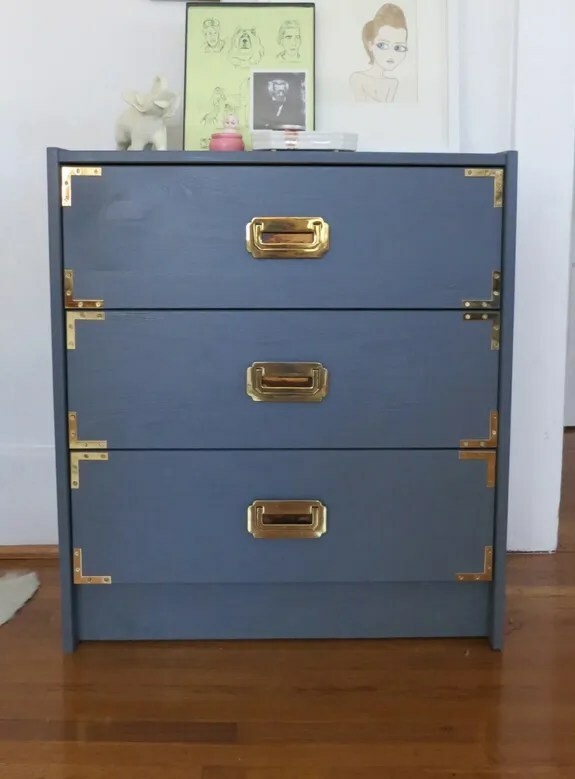 Well guess what, this piece is from Ikea, and thank’s to Jenny at LittleGreenNotebook, you don’t have to shell out some big bucks for this awesome look! For more campaign furniture inspiration, check out these amazing pieces from across the blogosphere! !